Creating digital art from the middle of nowhere. 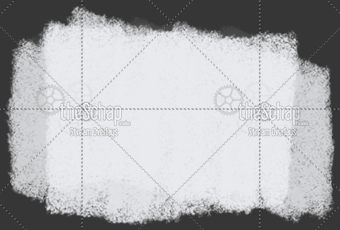 Stream Overlays by theSchap is a place to get upcoming and new release stream overlays and graphics for your game stream. Please contact me if you have any special requests, questions, or comments. 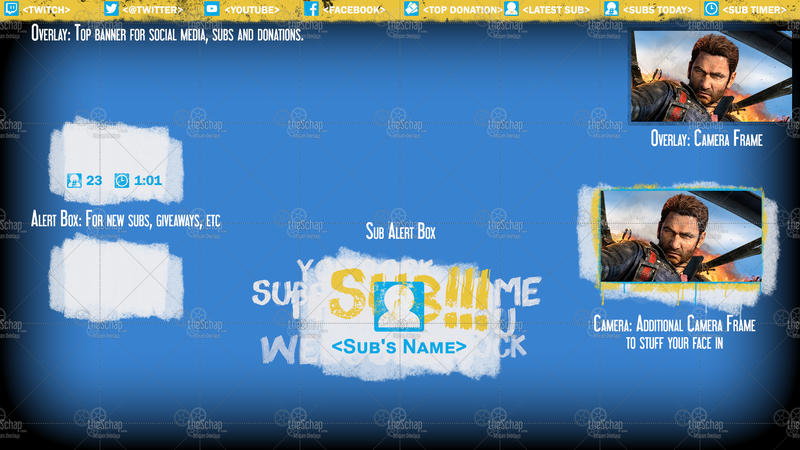 Just Cause 3 Stream Overlay! 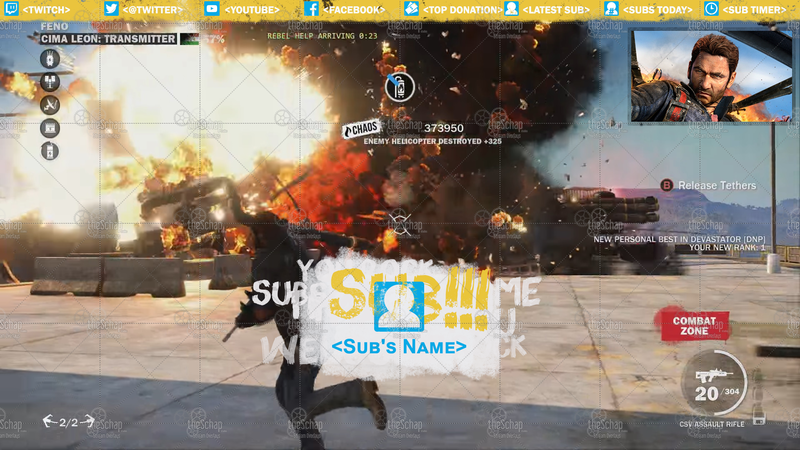 A Just Cause 3 themed stream overlay to provide a non-evasive way to display all the places your content can be found, and happenings within the stream. The default camera is a dark minimal style to match the game’s menu system. The colorful camera matches the alerts in the game. 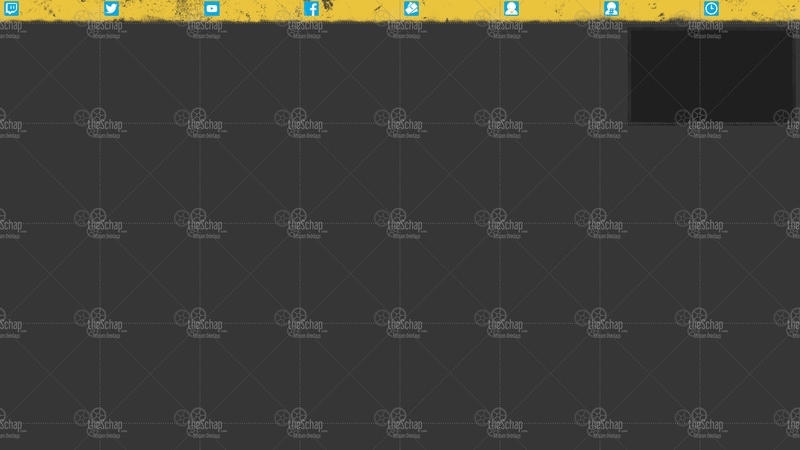 This entry was posted in Overlays. ← Fallout 4 Stream Overlay! 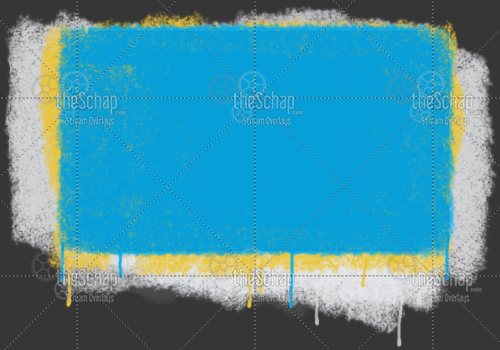 © Stream Overlays – theSchap | Creating digital art from the middle of nowhere.